1982 was a great year in American history. Gato Del Sol Cougar II won the Kentucky Derby (Laser Light Majestic Light came in second), the world was introduced to Madonna, “Noid” was a legitimate insult, MJ released Thriller (still the best selling album of all time), and E.T., Blade Runner, Fast Times at Ridgemont High, and The Poltergeist all debuted on the silver screen, blowing movie-goers away. Righteous. The one thing that never saw its ace moment? Washington High School’s prom of ’82. The historic Portland high, open since 1903, closed its doors the year before, leaving a legacy of never worn ‘80s-themed proms behind its man made doors. 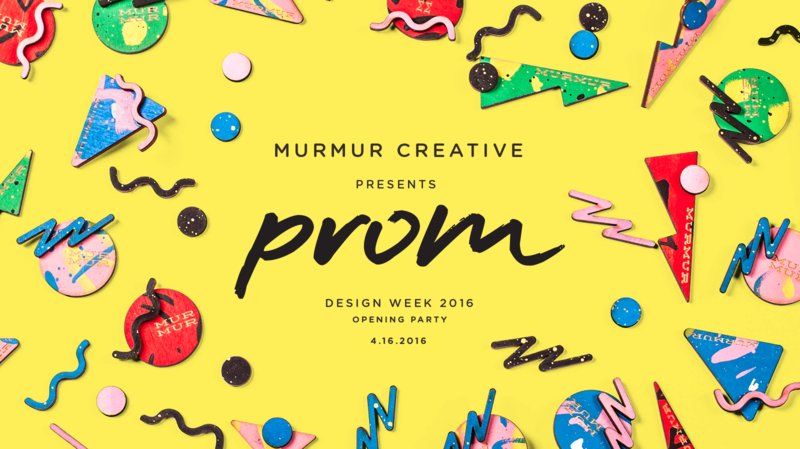 It’s with this in mind, and in conjunction with Design Week Portland 2016, that we at Murmur Creative took on the challenge of giving WaHi thee prom for the decade. For cereal. By evoking the ghosts of our own proms past we’ve created a scene that would’ve made Flock of Seagulls proud (“I ran,” 1982). And now, we’re ready to invite you to the DWP open house event that will take your breath away and leave you singing “I wanna dance with somebody” for weeks to follow. We’re doing this, with or without you … But we much rather it be with you. Join in the throwback fun on Saturday, April 16 between 7 and 11 pm in room 210 of the old Washington High School building (1300 SE Stark Street). Dig out those jellies, blow out your bangs, smother yourself in pastels and bring your most choice dance moves because it’s gonna be rad. No doy.